There existed in Milan a pious asso­ciation entitled "The Sodality of Eternal Wisdom" founded by St. Bernardine of Siena. Its purpose was the practice of vir­tue by means of the exercise of charity and mercy toward ones neighbor. But at this time, the pious association had fallen away from its first fervor. Some good and generous citizens rose up to put new life into it. 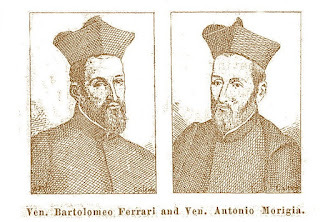 Among these, two young noblemen of Milan distinguished themselves, Bartholomew Ferrari and Anthony Morigia. The former had always been holy, the latter lately converted from the vanities of the world. United by the ties of the closest friendship, these two ardent souls sighed over the awful corruption of morals and longed for an effective remedy. They were filled with these thoughts when Anthony Zaccaria came to Milan. These three met. They were kindred spirits. Their esteem and love were mutual and very soon a close friendship was formed among them. Anthony Mary, admiring their zeal, soon laid before them his new program showing what immense advantages would be derived from it if, to put it into practice, other priests would join him. They would be free from every temporal care, animated by the one spirit and living under the same rule. They would be occupied only in the service of God and the salvation of souls. 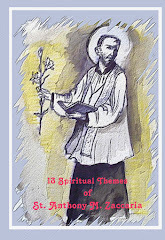 Ferrari and Morigia who had already contemplated embracing a religious vocation were so pleased with this pro­posal that they not only praised it, but associated themselves with Zaccaria in order to put it into practice. They decided on calling the new Congregation the Clerics Regular of St. Paul, having for its aim the imitation of the great apostle. They are known also as the Barnabites. The name Barnabites was given to them because of their association with the church of St. Barnabas in Milan, which they acquired in 1545. The final constitution was decided by a commission in 1579. 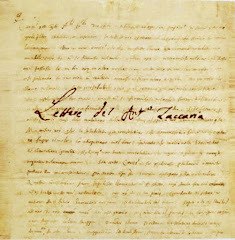 By common accord a petition was then made to the Sovereign Pontiff. Clement VII, who on February 18, 1533, sent them a Brief of Approbation and encouragement. Anthony Mary then took a small house near the church of St. Catherine at the Ponte dei Fabbri. Here, he with the two others, began their community life. The following year, six new members joined them, all belonging to the most distinguished families. Thus, having established the foundation of the new Congregation, Anthony Mary's only thought was that of forming the new religious on the divine model of Jesus Crucified. Therefore, contrary to the maxims of the world, they should reflect, as in a mirror the spirit of perfect abnegation of every convenience and comfort. As the groundwork of religious life, he imposed in the first place poverty in food as well as clothing; their food generally consisted of herbs, vegetables, cheese and milk, a little fish and some fruit, and on great feasts they had a little meat of the poorest quality. Their dress was like that worn by the priests in Lombardy, but very plain and coarse. They possessed nothing of their own, everything was in common. To poverty of spirit Anthony wished to join humility of heart. Therefore, there was no kind of humiliation in which he did not con­tinually exercise his children. To this end, they had to divulge their faults in the presence of the whole community. Also, each in his turn had to lend himself to the meanest household chores such as sweeping, washing the dishes, and similar menial tasks. Mortification was carried to a very high degree, each one crucifying his flesh with disciplines, hair shirts, vigils, fasting and other austerities. Their time was employed partly in prayer and partly in the study of Sacred Scriptures, especially the Letters of St. Paul. But it was not enough to shut them­selves up in monasteries to pray and study. If the salt does not season the earth, if the light remains hidden under the bushel, how is the spiritual ruin to be repaired, the darkness to be dissi­pated? They must gird themselves for work. They must come forth out of retirement; they must meet corrup­tion face to face and attack it in its stronghold—the world. This was the idea that Zaccaria had at heart and that he wished to see put into practice by his religious. It would be impossible to describe the ardor with which these fervent souls, at a signal from their spiritual Father, threw themselves into their work to move the people to repentance and draw them to a Christian life. Some of them follow­ing the example of Zaccaria, went through the city, crucifix in hand extolling the opprobrium and sufferings of Christ. Others, burning with a holy hatred for their past vanities and pride went through the most frequented places, meanly clad, to expose themselves to the sneers and derision of the vulgar. Some dressed as mendicants stayed at the church doors begging or went about like porters, carrying sacks. Others with a heavy cross about their neck withdrew to the Ca­thedral, there calling aloud for Divine Mercy, while others, through the excess of their sorrow, made public confession of their faults. There was no work of the sacred ministry that they did not fulfill with the greatest zeal. Instructing children and the ignorant in the rudiments of their faith, giving missions in the city and elsewhere, seated for long hours in the confessional, they drew the people once more to fre­quent the churches and to approach the sacraments. 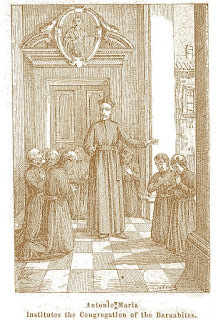 And since the precept of cha­rity to our neighbor is a double precept, that of healing the wounds of the soul and also that of helping corporal necessities, a part of their time was devoted to the care of the sick in the hospitals, assisting them, washing them, and dressing their wounds, thus setting an example of compassion such as one sees only in the church of Christ. The city of Milan was struck by the novelty of such things. The illustrious rank of these who stooped to such acts of abnegation. The ardor and sincerity of their zeal was a spectacle to which even the most dissipated could not re­main indifferent. 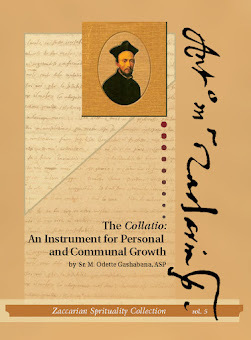 These people of Milan and also many of the clergy and laity began now to lead truly Christian lives, and the whole city was very soon to emerge from the darkness in which it had so long lay buried to awaken once more to the rays of divine grace. Hell, enraged at such defeat, armed itself against Zaccaria and his companions. First of all, the Devil went to trou­ble them in their habitation, night and day, disturbing their quiet by terrible noi­ses and every other imaginable annoy­ance. Driven out by Anthony Mary who in the name of Christ, commanded him to depart, the Evil One raised a terrible storm against the holy men in the city, and exciting the hatred of the wicked, instigated them to go and burn them alive in their convent. Foiled also in this, the Devil tried other stratagems, turning the Court and Senate against them. The fierce­ness of the persecution had reached such a pitch that even his religious began to waver; but Anthony Mary was not a man to turn back a single step. On October 4, 1534, he gathered them round him, showing them the pic­ture of Jesus Crucified thus re-anima­ting their courage. Deeply moved, they fell on their knees before him, weeping and protesting that neither injury nor contempt should ever turn them from the holy resolution they had formed. Innocence always triumphs sooner or later. Anthony and his companions fully triumphed, for shortly after, a new Bull was sent from Rome by the sovereign Pontiff confirming the new Order and commending its zeal.